Today a 7.3 meter S/X-band antenna supports several polar-orbit satellites for a dedicated customer, averaging around of 540 passes/month. 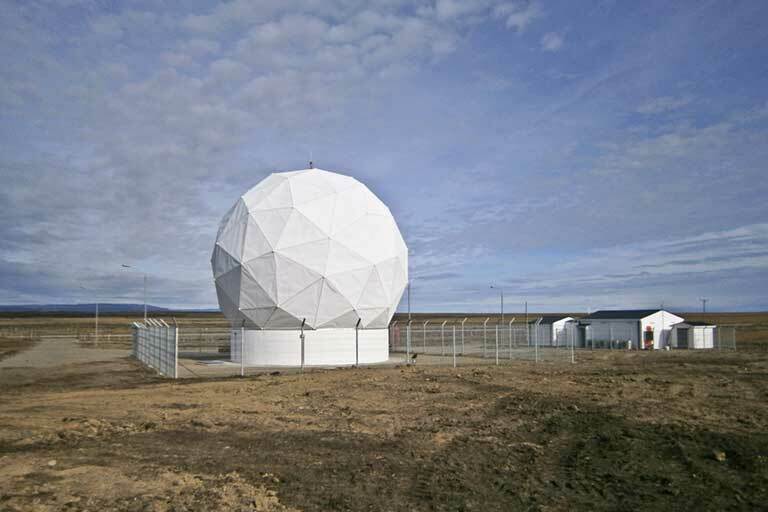 This antenna is installed in an environmental radome which allows operation during the 365 days of the year, regardless of the wind conditions. The total site occupies an area of 25 hectares, so there is plenty of space for installing or hosting new antennas. Two major communications provider reach the site with fiber optics communications. The station has its own power backup and generation system (UPS and diesel). The Punta Arenas Station was established in 2012 near the city of Punta Arenas, Chile, which is located at the South tip of the South American continent (latitude 53°S.). The Punta Arenas Station is located 28 km North of the main city and is accessible via a main paved road throughout all the year. When this station is used in combination with SSC's Dongara and Yatharagga stations in Australia, unmatched coverage opportunities are available for polar orbiting missions.